Charles Esten's "Nashville" Bus Tour! The city of Nashville is more than just a backdrop for the show that bears its name. It’s practically a character. Join Charles Esten on a fascinating ride that will hit the spots that have played a major part in the life of his character, Deacon Claybourne. Deacon, Rayna, Juliette – they’ve all performed at the historic Ryman Auditorium, and that’s where you’ll board and begin. The tour will continue on, as Charles describes the show’s connections to the many other Nashville locales you’ll see: The Bluebird Café, the real-life site of Deacon’s fictional bar The Beverly, Deacon’s house, Rayna’s house, the steps they broke up on, the stretch of road they crashed their truck on, and the bridge they walked across in the pilot episode, and where much later they finally got engaged. These are only some of the places that you will see and hear so much about on this fascinating 3-hour tour guided by Charles Esten. Tickets are $500 per person. 50 seats total available. 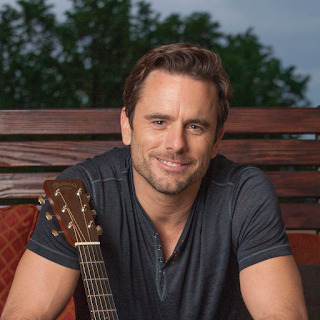 CHARLES ESTEN – GUIDED Nashville Bus Tour!